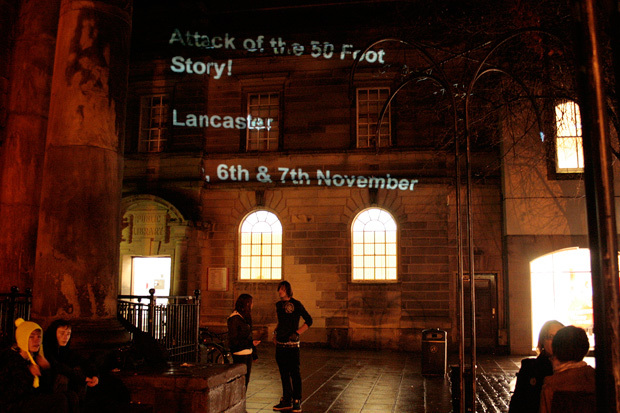 A PROJECT designed to illuminate the work of local young adults onto Lancashire’s Library buildings. 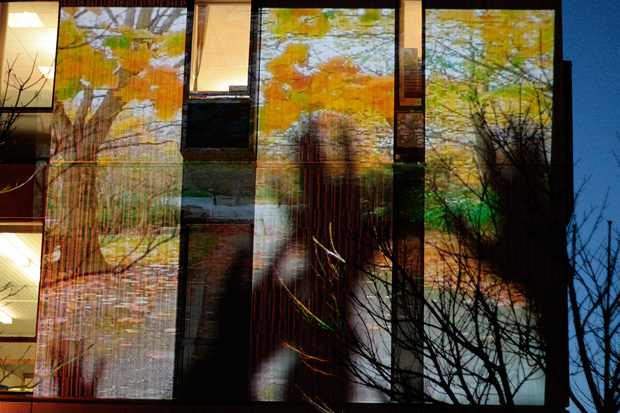 TEC in collaboration with Lancashire Libraries ran ‘A Library Inside Out’ with visible outcomes in late October 2009 in Lancaster for the Learning Revolution festival, as part of Lancashire Libraries cultural youth offer. Participants young adults aged between 19 and 25 attended writing workshop – working with writers to creatively tell stories & write poems about what life’s really like, in their own words. 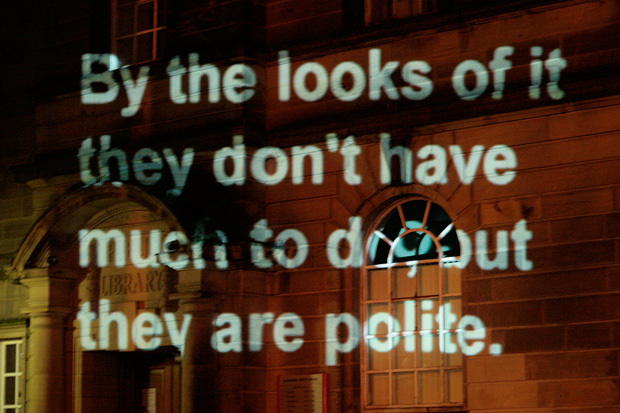 These stories & poems were then blown up and projected across the local library over the evenings of one weekend in November 2009. 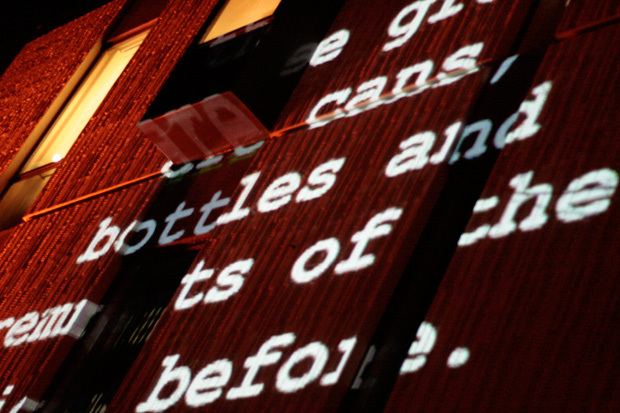 The writing took inspiration from the surrounding town and the young people’s lives.